When going through a divorce in New Jersey it is common to worry about the property and items you have built up during the course of your marriage. 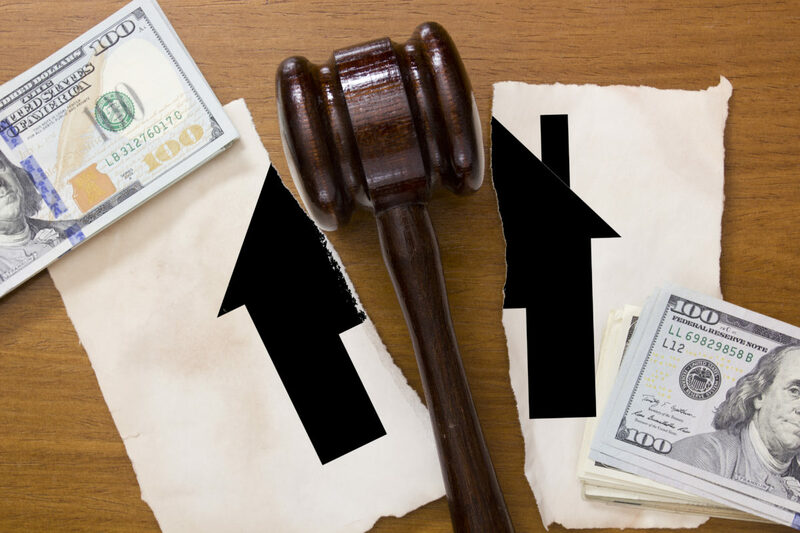 Below are some of the most common asked questions about equitable distribution and property division during a New Jersey divorce. Many things can happen to the home. The parties can agree they want to put the house on the market immediately. They’re sure that neither of them can afford – or wants to retain – the marital home, so they simply select a realtor and list the house for sale. One attorney may either escrow the proceeds from the closing, or the parties can split that money right away. Other times, one spouse has a particular reason that he or she wants to stay in the home. Maybe the children are settled in the current school system. Maybe one of the children is getting ready to enter the senior year of high school, and they say, “You know what? I need to stay put until the child graduates and is off to college.” Maybe it’s proximity. Maybe the home is near one spouse’s workplace, and they want to maintain the home post-divorce. The outcome really depends on the parties’ finances. Can one spouse buy the other spouse out? Can the spouse who wants to keep the home actually get the mortgage refinanced and maintain the mortgage? These, and others, are very fact-sensitive questions. Is there a history of domestic violence between the parties? In that case, it is important that the parties begin living separate and apart right away. The restraining order would require that. What happens to the house is very fact-sensitive. Some couples are able to continue living under the same roof right up until the marriage is officially dissolved. Others decide they prefer to move out much sooner. Then, the issue becomes who’s keeping the home – if either of them is – and how are the mortgage and carrying costs for the home to be paid while the case is pending? Many options affect the parties’ home. They can put the house on the market if neither of them can afford – or wants to – retain the marital home. One attorney may escrow the proceeds or the parties can split that money right away. One spouse may want to stay in the home because the children are settled in the current school system or one of them is about to enter the senior year of high school. Maybe, because of proximity or if the home is near one spouse’s workplace, they want to retain the home. If there is a history of domestic violence between the parties, it is important that the parties begin living apart right away because a restraining order would require that. Some couples can continue living under the same roof until the marriage is dissolved, while others prefer to move out sooner. Then, the issue is who keeps the home – if either will – and how will mortgage and carrying costs be paid while the case is pending? This is a decision I think each litigant should make for themselves. There’s no right or wrong answer and no cookie cutter response. You and your soon-to-be former spouse know exactly what’s in your house. Spending legal dollars on dividing the china, crystal, and linens is definitely not the best use of your resources. You could approach this issue by simply having the wife take pink Post-It notes and the husband take blue Post-It notes, and just marking up what each will keep. Obviously, if some pieces of artwork, or certain family heirlooms, or special gifts are more important to one spouse than the other, you may need to involve your attorneys in resolving disputed items. By and large, however, you’re better served to divide the contents of your home yourself without involving your counsel. What happens to the contents of the marital home after the divorce is finalized is a decision each litigant should make for themselves. There’s no right or wrong answer and no cookie cutter response. Soon-to-be former spouses know exactly what’s in their house, so spending legal dollars on dividing china, crystal, and linens is definitely not the best use of resources. Obviously, if some artwork, family heirlooms, or special gifts are more important to one spouse than the other, attorneys may be involved in resolving disputed items. Overall, parties are better served to divide the contents of their home without involving counsel. This can be a difficult question. Was a certain item a gift? For example, the wife says, “My husband gave me a Rolex watch at Christmastime. Is it a gift, or is it a marital asset? Now that we’re getting divorced, are we going to have to sell the watch and split proceeds?” You will want to discuss these and many other questions with your attorney. Personal belongings include everything that makes up the contents of your house – such as your jewelry, your clothing – and can even include personal electronics. There are cases where the parties actually divide up such things as iPads, televisions, and all of these kinds of things within the marital home. Generally speaking, however, gifts are gifts, and the person who received the gift will retain that gift, even post-divorce. For example, the wife who received the Rolex watch at Christmastime will continue to wear that watch even post-divorce. Disposition of personal belongings in a divorce can be a difficult issue, especially when certain expensive items were gifts. The wife may wonder if the Rolex watch her husband gave her at Christmas time is considered a marital asset. Personal belongings include everything that makes up the contents of your house – such as jewelry, clothing – and even personal electronics. Generally speaking, gifts are gifts, and the recipient will retain them post-divorce. Are you or a loved one starting the divorce proceedings and worried about what will happen to their hobbies or cars? Let one of our family law attorneys in Morris and Bergen County guide you through the process. This educational blog was brought to you by Tanya L. Freeman, a New Jersey Divorce Attorney with offices in Parsippany and Jersey City.